Since I had originally trained in the Shotokan style, I decided to attend a seminar by Shotokan master Hirokazu Kanazawa. 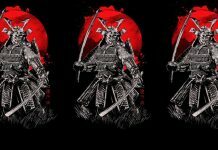 During the seminar, Kanazawa-sensei reviewed several kata; at one point during the discussion of a particular technique from the kata Jion, a black belt raised his hand and asked, “Sensei, could that move be a strike to the head?” At that moment I became somewhat hopeful. 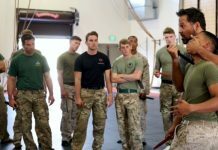 The question showed that this student was troubled by the woefully inadequate explanations for kata movements that he had been given over the years. It also showed that he was thinking and looking for knowledge. And, it was a pretty good question (as opposed to the usual, “What’s this move for?”). Perhaps he would be rewarded with a good answer. 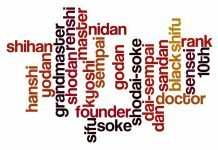 I shared this little episode via e-mail with a Shotokan practitioner in England. He responded by telling me that the only time he had seen Kanazawa demonstrate any “half decent” (his words) applications of kata movements was when he sneaked a peak during a private conversation Kanazawa-sensei was holding with Kato-sensei. This begs the question then, if the oriental instructors have better knowledge than they have shown us, why haven’t they shown it. The area of pressure point knowledge is a good example of this very phenomenon. One of the truly great masters of the 20th century was Shogo Kuniba, the head of the Seishinkai karate organization. Kuniba-sensei loved to teach karate in the United States because his American students gave him permission to experiment and innovate (whereas, in Japan, he was expected to simply fulfill the role of soke/inheritor of his father’s karate style). As he was dying of cancer, Kuniba assigned the leadership of the karate organization in Japan to his sons, but he designated an American, sensei William Price, to inherit his own innovated karate system. According to Price, in the last few months of his life, Kuniba-sensei began to share information about pressure point techniques. Price says that Kuniba expressed regret that he had withheld the knowledge for so long, and that there was no longer enough time to fully divulge this aspect of karate to his heir. 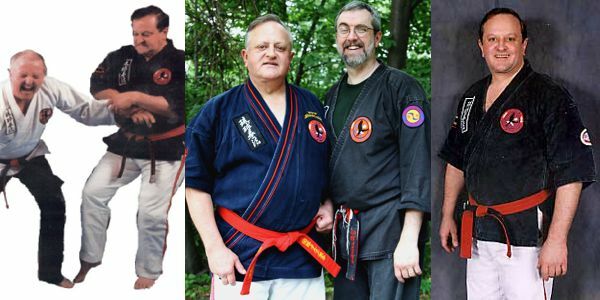 Mike LaMonica is perhaps the western world’s most senior exponent of Hakko-ryu jujitsu, directly under the the system’s founder, the late Ryuho Okuyama, who awarded him the license of Menkyo-Kaiden. LaMonica-sensei and I only met in person once (at a baptism), but I did have occasion to talk with him on the phone. Our conversation was about the use of pressure points as part of the performance of Hakko-ryu kihon waza (the basic techniques of the system). As we talked pressure point specifics, LaMonica’s litany became, “Yes, but we don’t teach that until 5th dan.” He did not share their martial arts knowledge. A similar comment is made by aikido exponent Morihiro Saito. Saito-sensei has stated (apparently quoting the teachings of aikido founder Ueshiba) that atemi, or the attacking of vital points, is essential for better than 90% of aikido technique to be successfully applied; yet, this portion of the art is not taught prior to 5th dan (achieved after about 20 years of training!) ostensibly so that students can concentrate on other aspects of the training. It seems odd that the very element that is required for the successful execution of aikido techniques is intentionally left out of student’s practice. A friend provided me with a video taped seminar taught by Taika Oyata. Oyata-sensei was the first to demonstrate pressure point techniques in a public manner. He often demonstrated pressure point knock-outs and listed kyusho-jitsu (pressure point fighting) as a part of his curriculum. In the video, Oyata-sensei was teaching a small group of eager students (one of whom – I was surprised to see – was an old dojo-mate of mine from back in the 70’s). At one point, Oyata began to lecture on a knock-out technique. He slowly and deliberately demonstrated the technique so that everyone attending could follow. The students watched intently and imitated his movements (heck, I was imitating the movement as I watched the tape). Then suddenly, and without prior notice, Oyata knocked out the student he was using as uke. The students in the seminar were all delighted to see this technique so convincingly proven. I, on the other hand, had a different reaction. Being a pressure point practitioner, I realized immediately that the technique Oyata-sensei had actually used to knock out the student was not the one he had been teaching. (And just to be sure, I backed up the video and watched it again in slow motion.) He had been pointedly misleading those students! (By the way, the technique is revealed at the end of the book TUITÉ: Advanced Pressure Point Grappling, which I co-authored with my teacher George Dillman.) He did not share their martial arts knowledge. Pressure point expert George Dillman trained under Oyata-sensei in the early 80’s (and received 7th dan from Oyata). It was Oyata who taught him the fundamentals of kyusho-jitsu which formed the basis for Dillman’s own research and study. Clearly, Oyata-sensei had shared accurate information with Dillman, yet, Dillman himself says that he often saw Oyata teach wrong information in seminars. Now, I must be careful here lest I seem to be criticizing Oyata-sensei. If it were not for his willingness to share knowledge about pressure point methods, this information would still be the subject of myth and fantasy. 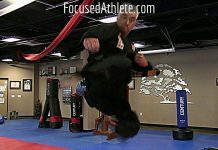 And, I don’t want to judge another person’s decision to withhold information from unproven students, since I myself have certain techniques that I simply will not teach anyone who is not at least a black belt and a person I have some measure of confidence and trust in. And there are also cultural realities. Instructors like Kanazawa-sensei, and Oyata-sensei probably feel that access to their knowledge must be earned through years of devoted, unquestioning, adherence. Ok, I get that, but there is a clear difference between withholding some information, and intentionally mis-teaching. It is not just that Kanazawa saves the decent application for private conversation, it is that he teaches bad application to the faithful, who accept it with a hearty thank you. It is not that Oyata holds back information, it is that he presents wrong information. I am not Japanese! So, understanding this from a cultural perspective doesn’t mean that it I am not offended to be treated this way. Withhold information, if you must, but at least don’t send me chasing my tail. George Dillman is the exact opposite as an instructor. I have, many times, had him show me some secret technique, insisting I tell no one, only to have him tell me a few weeks later how he just taught that “secret” to 100 people at the latest seminar. I came to understand that he was not actually sharing secrets that I was to keep, he was giving me a head start on the the things he was working on and planning to introduce to others. 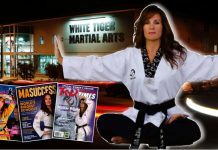 And this is part of the reason why the DKI (Dillman Karate International) instructors are so knowledgeable and skilled. 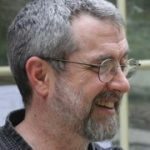 As one astonished newcomer said to me, “I figured Dillman could to do it; I never thought all his people could, too.” And this is why there are competing organizations out there, teaching and presenting pressure point knowledge (they learned it by being part of the DKI, where knowledge is freely shared). It turns out that, when knowledge is held back, it is lost. Just as Kuniba-sensei was not able to pass on all he knew in the short time he had between his diagnosis and his passing, so knowledge has been lost across the ages. But, when knowledge is shared openly, then it not only endures, it prospers. Because Dillman would share everything he knew, his students were able to explore new areas of practice. They then shared that, and we all got better. I believe we actually understand pressure point fighting methods better now, than at any point in the last century. And this is not because we are great masters. We just are generous in our teaching and sharing. In this we are simply following George Dillman’s example (who, in fairness, was following Professor Wally Jay’s example), and the result is magnificent. So, share your martial arts knowledge, and we will all become better. Thanks for reading. Now, go train.